What is a Certificate Program in Event Management? A certificate program is a course of a short duration. It keeps in mind a student’s capabilities, learning needs, industry standards and best practices. A certificate program may help boost your career in the event management industry. Yes, you can intern at an event management company. Learn how to become an event manager by working at a firm. But, doing a structured certificate program is the better option. It will give you a strong foundation for your career. And, what better start than choosing a certificate program of your choice. Whether you have just finished high school, changing career paths or looking for a course to increase your job prospects… Do a program in event management from team.i – Premier Event Management Institute in Bangalore. It would be the first step towards a long and prosperous career in the industry. Musical concerts, film festivals, fundraisers, trade shows, conferences, marathons, weddings… Whether it is a spectacular celebration or a buttoned-up business meeting… To execute any event means to coordinate with various parts. This requires thorough research, planning, marketing and seamless coordination. A professional in the field needs to consider budgeting, developing a theme… Making sure all equipment and facilities are according to the desires of the client. Event management program from team.i also borrows theories and practical knowledge from similar disciplines such as project management, marketing and public relations… Tailoring them to fit an event management program like a glove. Like many others, when you search the internet, you’re flooded with information. Websites offer you ‘Event Planning Certification’ and ‘Event Management Certificate Programs’. When it comes to the event industry… there is a very clear difference between the words “certification” and “certificate”. It sounds like there’s only a tiny difference in semantics. But they are not the same. This concept is very important if you want to choose the right program for you. A Certification is an accredited designation. It is a title a planner earns via an exam after having years of experience in planning events. A person requires at least 3 – 7 years of experience depending on the certification. Some certifications need you to be currently employed. So you need to be an event manager when applying. Thus, there are no certifications for beginners! What you can and should do is look into taking a certificate course or program with team.i. What is an Event Management Certificate Program? Event management may not be difficult to learn. But you do have to learn the basics before starting your career. And taking a certificate course with team.i is the quickest, most affordable and efficient way to do that. team.i’s event management programs offer a mix of business and management knowledge. They equip students with creative thinking and strong leadership skills. These help them coordinate teams that come together to create a successful event. Making sure students develop excellent organisational abilities and attention to detail. It includes education on creativity and design elements. Subjects included in the event management curricula include strategic management, advertising, promotion and event business… Learning how to communicate efficiently and clearly is also part of the package. Depending on the certificate program and institute you choose, the fees varies accordingly. Doing a certificate program helps students gain a bigger perspective of the industry. From conventions, fundraisers, seminars, expositions, to special events and trade shows… Some programs like team.i’s even offer internship programs. This helps students get a first-hand experience of the industry. Students doing a certificate course, learn how to execute and manage different types of events. Helping them pursue a future career in the industry. What can you gain from doing a certificate program? • An understanding of the events industry. Study about seminars, conventions, conferences, expositions, trade shows, special events and meetings. • How to conduct event management research effectively. • The experience and educational background of the faculties. • The types of assignments required for the course. • Are online students assigned an instructor? Is the instructor available for any questions, mentoring, etc? • The testing methods and requirements. • Are the learning competencies indicated? • Are learning objectives clearly stated? • The strength of their industry connections. Certificate courses are mostly divided into two – online courses and classroom courses. Many people are place-bound. They cannot travel due to work, family commitments or cost. Online education has come a long way in recent years. Online certificate programs are different from traditional on-campus study. It allows students to complete courses and programs from remote locations. The fee for online certificate programs vary from institution to programs. It is certain that students save expense related to accommodation and transportation. It is also a great solution for people that already have a job and still want or need further education. But online education requires motivated learners. You must be self-directed. Keep up with reading, presentations, assignments and tests on time. Meeting all the set deadlines. If you take the time to investigate, you will find the perfect certificate program for you. This certificate program provides you with the knowledge and skills needed to excel and succeed in the industry. While most choose a career in event planning and management, there are many other areas to work in the field. Some may choose to work with corporate organisations. This includes conferences, corporate retreats, trade shows, product launches… Others may choose to work with social events such as engagements, weddings, birthday parties and other celebrations… With the right background, some individuals can even start their own business in the industry! But, with every ‘In-Person Certificate programs’, students have to attend classes at the chosen institute. By using these questions as a checklist, it will help you to choose a good certificate program with a reputable institute like team.i – School of New. What are their degrees and certifications? Do the instructors have relevant industry experience? How recent is their experience in the industry? The industry is evolving quickly. Are instructors keeping with the changing times? How many in-class hours? A weekend? Several weekends? few months??? The course’s duration. Are there exams? Are there required assignments? Do students complete portfolios and give presentations? If your considering a class-based certificate program, then a class size matters. How many students are in a class? The ratio of students to instructor in a class is important. The lesser number of students to instructor is always better. What percentage of graduates find employment in the field within a year? What help do they provide you? Is financing available? What is the cost of your desired certificate program? Do they hold any accreditations or licenses? Are they in the accreditation process? Are they partners with any industry associations? Do they offer industry internships as part of the course? Are they tied-up with any leading Event Management Companies like DNA? How many hours of industry training? A course that offers you industry training will benefit you greater. Are there guest lecturers? Are there field trips? Is there an alumni association? Bangalore is a hotspot when it comes to events. Be it beauty pageants, rock shows, product launches, weddings… events are vast and varied. 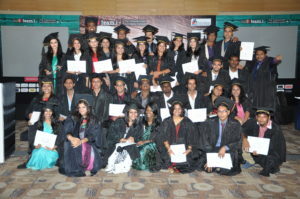 There are many great training institutes situated in Bangalore offering certificate courses in Event Management. There are also institutions in Bangalore that offer online certificate programs. Event Management, Public Relations, Advertising, Event and Sport Management, Integrated Marketing Communications, Event Production, Floral Designing, Sound and Light Production are few of the courses being offered… By choosing a true Event Management Certificate Program, you will benefit much more. Whether you plan on working for an event management firm or starting your own event business… You need to choose a certificate course with the right institute. This will help you have a brilliant career in the industry. Many institutions have cropped up to provide you with certificate programs. Those wanting to create a future in the industry have many options to choose from. But there are few that stand apart from rest of the crowd. Choosing the right institute does matter. team.i – School of New is the perfect choice for you! If you want to get ahead start in an event management career, then choosing team.i’s program will do just that. team.i offers an Event Management Program that will mould you into the perfect candidate for the job. The theoretical part of the course takes place on team.i’s 7 acre campus. They make sure your foundation is strong before stepping out into the industry. team.i’s event management program is unlike any other program in the country. Because their program consists of 50% theory and 50% practical. No other institute gives you this golden opportunity. team.i has tied-up with one of India’s leading Event Management Company, DNA Entertainment Networks Pvt. Ltd. This gives students a chance to work with the best in the industry. It also provides team.i with an upper-hand over other institutes. So choosing a program with the best institute will surely make a difference when you want to jump-start your career. • It shows your potential future employers you took the initiative to learn the basics. • It proves you take your future career seriously to apply in a course and learn. It is a well known fact that the life of a student places emphasis on academics and for a good reason. Surround yourself with like-minded individuals. That provides you with an opportunity for creative synergy as you learn and grow together. Did you ever stop to think that it’s not what you know, but who??? In the event management circuit, this is truly the case though. You enter the world of connections and networks. Most of the time event managers trace their connections back to their event management courses. So establishing yourself within a network of students, faculty and alumni of a well accredited course like team.i’s can help open doors for you. Whichever course you eventually choose, remember to have fun along the way. Get to know as many people as possible. After all, most of team.i’s graduating students report that the contacts you make here are just as important as the nitty-gritty lessons you learned throughout the course. 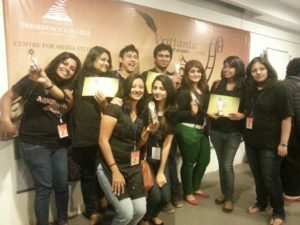 How does an Event Management Certificate Course from team.i benefit your Career? Besides making valuable connections through team.i’s events management certificate courses. You get an opportunity to learn from the best! Most programs will provide you with an immersive education. So having a certificate course on your resume will help you stand out as a candidate. It shows your passion and commitment to future employers. As well as provide you with the knowledge you need to hit the ground running. team.i’s event management certificate course will benefit your personal development too. You gain experiential learning and an accredited qualification to ensure you get into the industry quicker. They also provide you with the confidence to take on projects from start to finish. Making sure you understand all aspects of the event management process and business management. team.i also makes sure to provide their students with great placement opportunities. With a new found confidence in what you know, you are likely to find it easier to land a job or become an employer yourself. Once you complete your course successfully. You get your certificate and are ready to start a brilliant future. Whether you start your rewarding career by utilising your newly achieved skills… Take your education to the next level… Or even set up your own business… You are completely ready to succeed. Go ahead and enroll in a Certificate Program with team.i today. Good luck! Certification is imperative to your success in Event Management. Read on to know why. Communication Is Essential for Your Success in Event Management. Read Here to Find Out Why? What is the Best Career Option After 12th Commerce? What does an Event Management Course Curriculum have?